Pinterest is really the best, isn’t it? 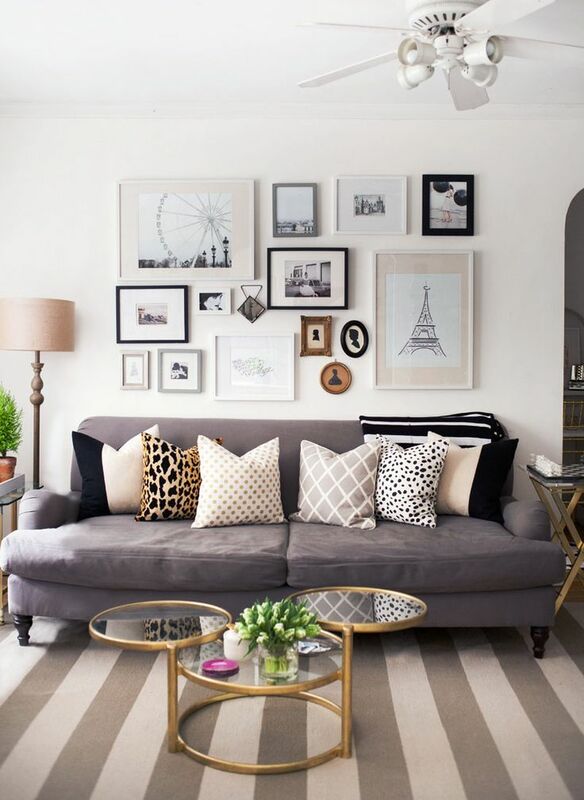 I have been looking for some gallery wall inspiration and there are just endless pictures to look at. Right now my couch is underneath the window in my living room, but in my new apartment my couch will be up against a wall. I’ve been racking my brain on what I want to hang above the couch and I think I’ve decided that a small gallery wall would look lovely! I have quite a few pictures, frames, and little odds and ends that I will be able to use (a lot of great flea market finds! ), but I needed a little bit of guidance as to how I should hang them. Where should they go? Do I do something that seems random as far as placement goes or should I have a bit more order to my placement? I have no idea. 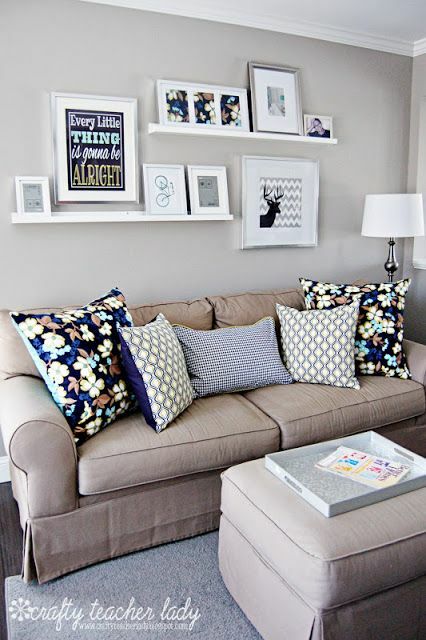 But here are some gallery walls that I found that I love and I might steal a few ideas from! I have these shelves from Ikea, and I like the way they were incorporated. 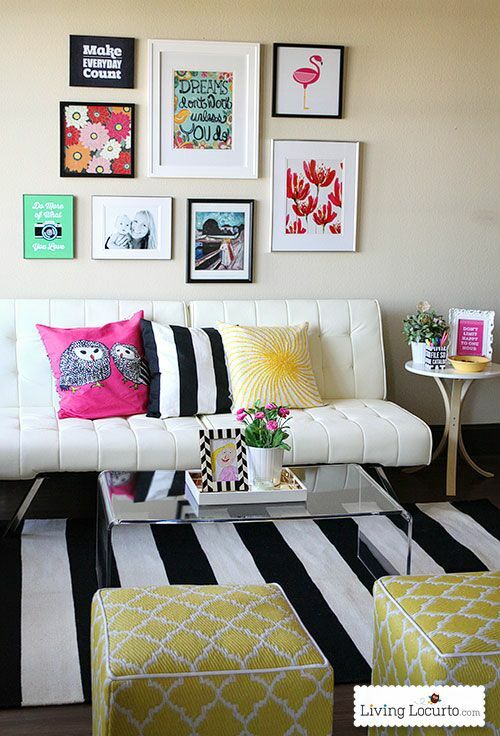 Look at the little flamingo print! The first is by far my favorite. It’s simple and not too cluttered, maybe it’s the colors? Great!